The British performance brand's latest - and greatest - car is worth its admittedly hefty cost. 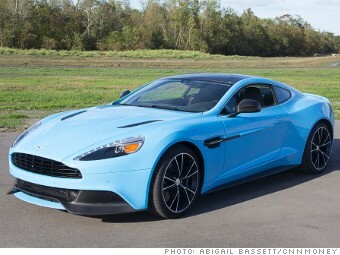 Aston Martin's new $280,000 Vanquish, along with the much cheaper $120,000 V8 Vantage I recently tested, has me believing that Aston Martin is now officially on a tear. The British carmaker is enjoying a recent infusion of Italian cash. And, with cars like these, the folks in its engineering department ought to be pretty pleased with themselves. I wasn't always such a fan. In years past, I've driven Aston Martin cars that just didn't deliver the thrills their beautiful bodies would have you expect. But the Vanquish clears a very high bar in that respect -- with room to spare. In any crazy shade you want -- it comes in regular colors, too -- this car is every ounce as impressive as it looks.